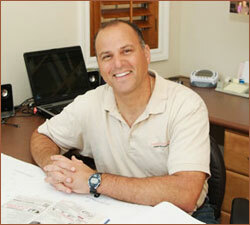 At Sandstone Construction, our number one goal is your complete satisfaction. To this end, we strive to provide the level of quality construction and service that meets and exceeds all of your expectations. We supervise our crews and subcontractors onsite each and every day to monitor quality construction, safe and clean practices and timely completion. We think it is important to listen to our clients and understand their needs. And prior to submitting our proposals, we study the projects thoroughly before putting together our estimates and schedules. Of course, all the hard work in the world isn’t enough unless it is accompanied by the skills and knowledge necessary to do the job right. George Bronstein, owner of Sandstone Construction, holds a degree in Civil Engineering, is a licensed California Professional Engineer and General Contractor, and has more than 25 years of professional experience managing projects large and small. Sandstone Construction employs only seasoned crews and subcontractors who share George’s work ethic and commitment to courteous client service. © 2017 Sandstone Construction Co.